Which of the following addition of coloured light are collect? Diagram shows the overlapping of coloured lights on a white screen. What colour is observed at the region labeled P? The correct answer is “White”. 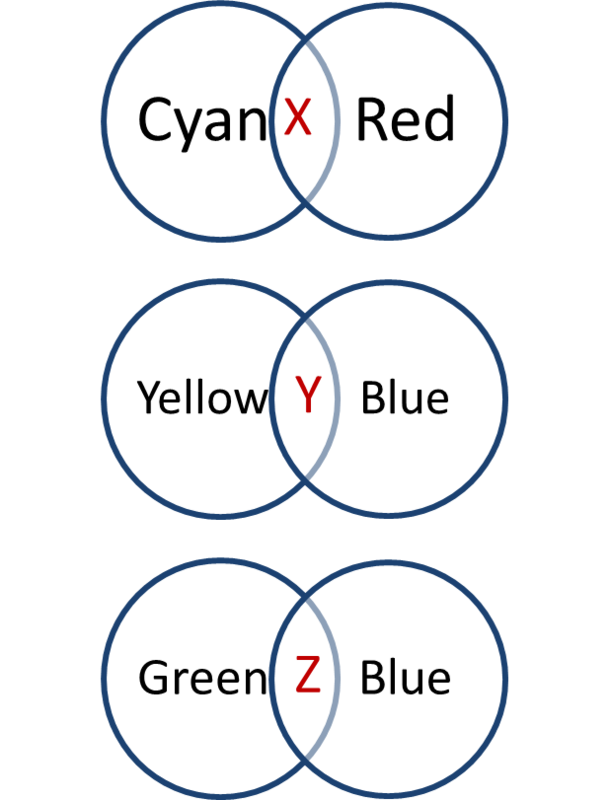 Diagram shows the production of colours X, Y and Z from the addition of red, blue and green lights. What are X, Y and Z? 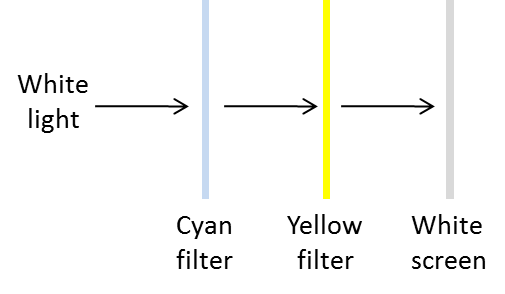 Diagram shows a ray of white light passing through two coloured filters. What coloured light is formed on the white screen? The correct answer is “Red”. 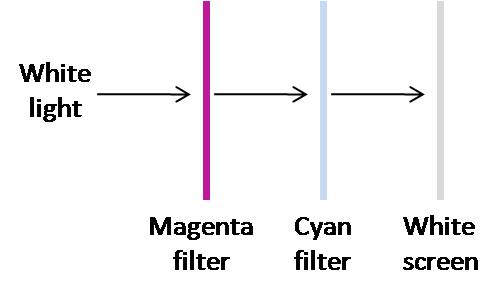 Diagram shows a beam of white light passing through a magenta filter and a cyan filter. The correct answer is “Blue”. Diagram shows the overlapping of primary coloured lights on a white screen. 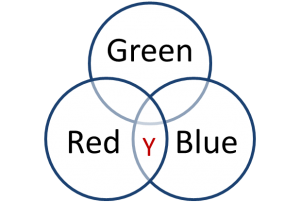 What colour is observed at the region labeled Y? The correct answer is “Magenta”. 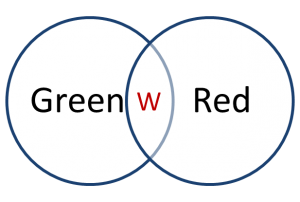 Diagram shows the overlapping of two different coloured lights on a white screen. The correct answer is “Yellow”. Diagram shows the addition of coloured lights. The diagrams show X, Y and Z are the regions due to overlapping of two different coloured lights on a white screen. The correct answer is “Green”. 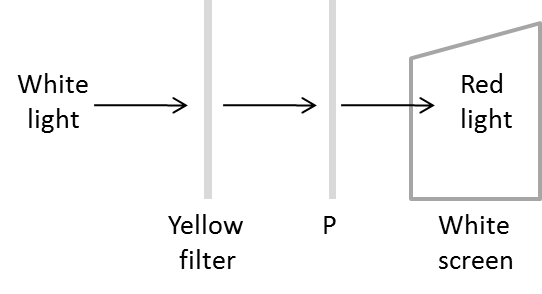 Diagram shows a beam of white light passing through a yellow filter and a colour filter P.
Red light is formed on the screen. What colour is filter P? 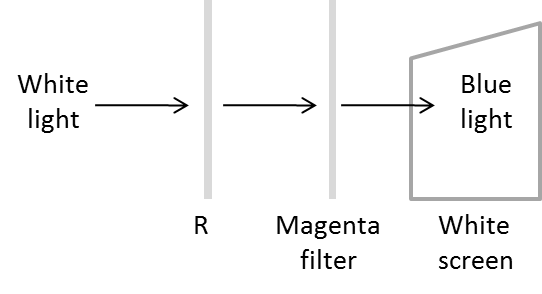 Diagram shows a beam of white light passing through a colour filter and a magenta filter. Blue light is formed on the screen. What colour is filter R? The correct answer is “Cyan”.